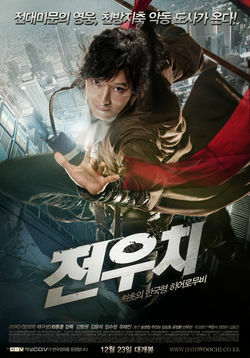 Chang-Hyok Choi (Park Shin-Yang) is driving in his car, when he suddenly finds himself followed by the police. In a nice car chase he tries to get away, but as his car emerges from a tunnel it goes over the side, down a cliff and he is killed in the burning wreck.The reason he tried to get away, is that he had just left the Bank of Korea, where he was part of a scam, that got him and his four accomplices the neat sum of 5 billion won. He died, one of his accomplices was caught, and the other three disappeared – and so did all the money.Eol-mae (Lee Mun-Shik) was the one caught by the police, and they try to get him to talk and reveal the scam and his accomplices. In flashbacks we see how the plan was hatched, and get to know the criminals.The police tries to find out more about the killed Chang-Hyok Choi, and find his brother, who is the owner of a used book store. He has been at odds with his deceased brother, but now gets a big life insurance.This interests In-keong Seo (Yum Jung-Ah) very much. She has been living with Mr. Kim (Baek Yun-Shik), who is a veteran con-artist and the money-man in the scam. In-keong Seo got to know Chang-Hyok Choi – and now wants to get to know his brother.